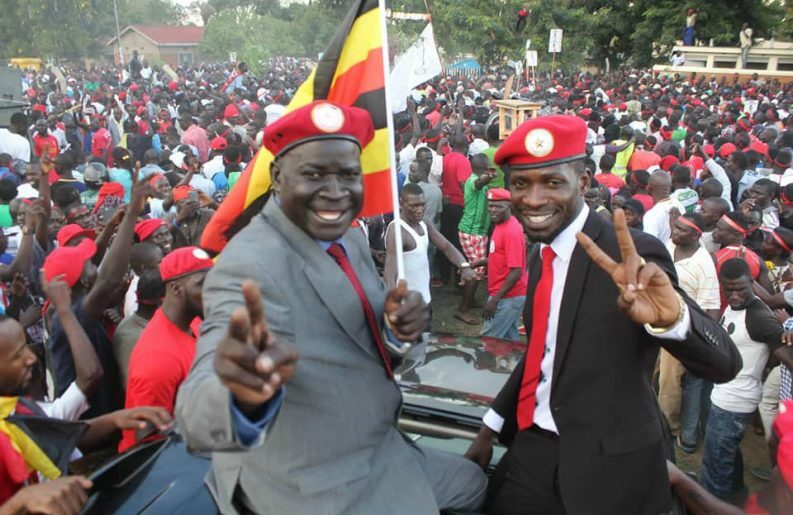 Bobi Wine (R) campaigns with Kassiano Wadri (L) in Arua two weeks ago. Wadri won, but both were arrested and allegedly tortured after a fracas followed the vote. (Photo/BW/FB). Uganda: Who Is Bobi Wine And Why Is He Such A Pain In The Neck For Long-time Ruler Museveni? “Since parliament has failed to come to the ghetto, then we shall bring the ghetto to parliament”, said the musician turned populist politician.